Capital Candy has partnered with UTZ Snacks of Hanover, PA to provide your customers with satisfying snack foods. UTZ Snacks has been in business for over 85 years and was founded in 1921 by William and Salie Utz. Since then, the company has become the largest independent privately held snack brand in the United States, producing over 1 million pounds of potato chips a week, and about 900,000 pounds of pretzels. 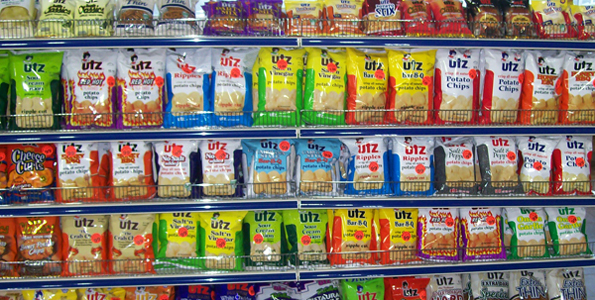 Capital Candy carries a large selection of UTZ Snacks products. We have regular potato chips Grandma Utz chips, tortilla chips, pretzels, cheese curls, popcorn, pork rinds, kettle classis and natural chips. The Grandma Utz, tortilla, cheese curls, popcorn, and natural chips and all gluten free products.